Blood culture tests are conducted when a healthcare provider suspects that a patient might suffer from blood infection. Blood infection poses a high risk for serious complications including a condition called sepsis, whereby the pathogens which cause infection in our bloodstream interfere with our body’s defenses and arrest the proper functioning of our immune systems. These pathogens create toxins that harm our organs as well. As a result, blood culture tests are leveraged to determine which bacteria or other organism has been leading to blood infection and how to combat it efficiently. Because the risk of developing a blood infection rises considerably when a person is suffering from conditions such as cancer, diabetes, HIV or AIDS, or an autoimmune disease, the rising incidence of these chronic conditions has been one of the most significant catalysts of the global blood culture tests market. The increasing number of surgeries, prosthetic heart valve replacements, and growing acceptance of immunosuppressive therapy have also been influencing the growth of the global blood culture test market in a positive way. Blood cultures are also being drawn from infants and newborns with fever who might have an infection. However, the potential side effects associated with blood culture such as excessive bleeding, hematoma (bleeding under the skin), infection, and fainting can act as a stumbling block to the expansion of the global blood culture test market. Several research and development projects are being undertaken by scientists, universities, and researchers. For example, in May 2017, a novel device for drawing blood was found to be capable of reducing contamination of cultures by a study conducted at the University of Nebraska Medical Center (UNMC). The study included 904 participant patients from the emergency department, along with 1,808 blood cultures. SteriPath, the Food and Drug Administration (FDA)-approved device is designed by Magnolia Medical Technologies. It potentially cuts down the use of antibiotics, simultaneously reducing health care costs, finds the study. Another testing instrument, the PhenoTest BC Kit received FDA approval in February 2017. The device is presently being used at the University Hospital of Augusta. The new test method enables patients who are diagnosed with bloodstream infection to receive treatment nearly two days sooner. The test can provide crucial information not only pertaining to the organisms responsible for the bloodstream infection but also regarding to which antibiotics the organism might respond to. The development of such innovative products can enhance the adoption of blood culture tests on a global scale, leveling up the overall market revenue. Based on geography, the global blood culture test market can be segmented into Latin America, the Middle East and Africa, Europe, Asia Pacific, and North America. 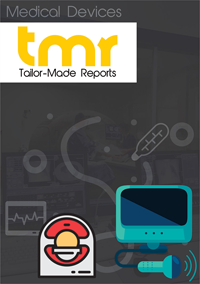 The blood culture test market in North America is currently at the headmost place owing to the existence of several large market players including Thermo Fisher Scientific, Inc., Becton, and bioMérieux SA. Europe is anticipated to witness substantial demand for blood culture tests due to high development of healthcare infrastructure in countries such as France, the U.K., and Germany. Asia Pacific is likely to surpass all other regions in terms of growth rate during the forthcoming period, triggered by an alarming rise in infectious diseases. Government initiatives at ramping up the healthcare infrastructure are also boosting the blood culture test market in the region. Abbott, Danaher Corporation, bioMérieux SA, Dickinson and Company, Alere, Thermo Fisher Scientific, Inc., Luminex Corporation, Becton, Bruker Corporation, and Roche Diagnostics are some leading players operating in the global blood culture test market.